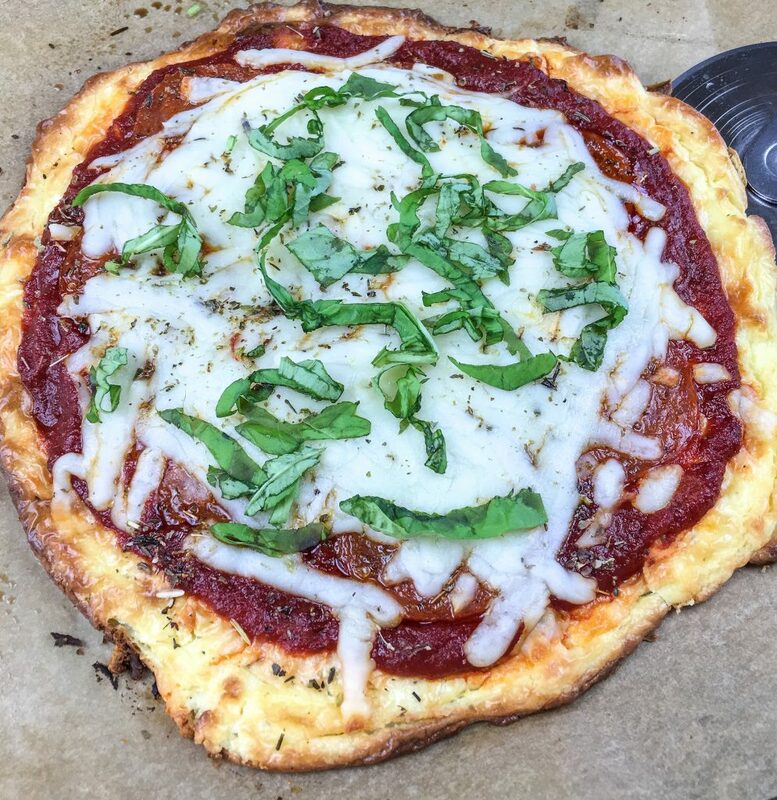 This delicious cream cheese crust pepperoni keto pizza is a real melt-in-your-mouth treat. 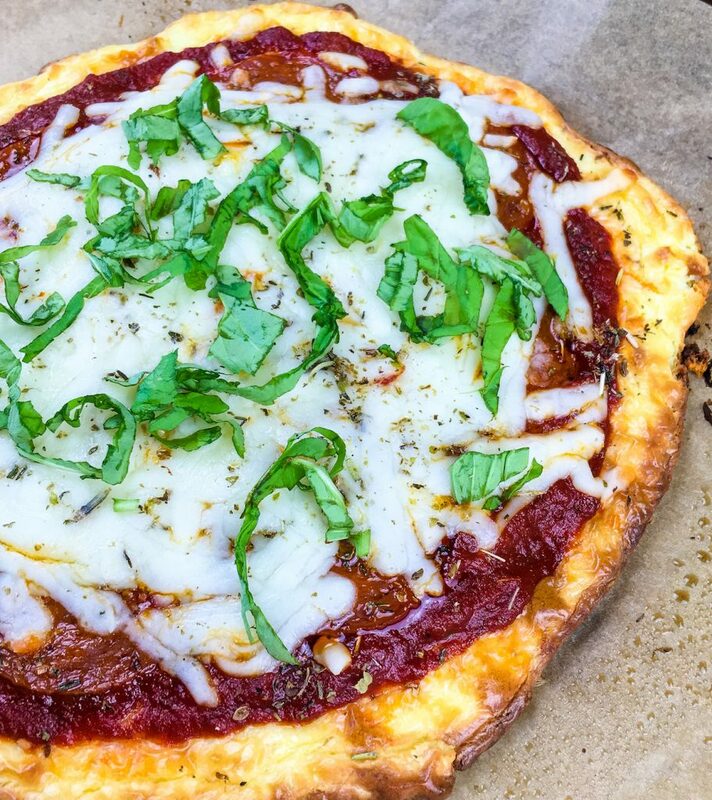 Perfect for anyone following a low carb keto diet. 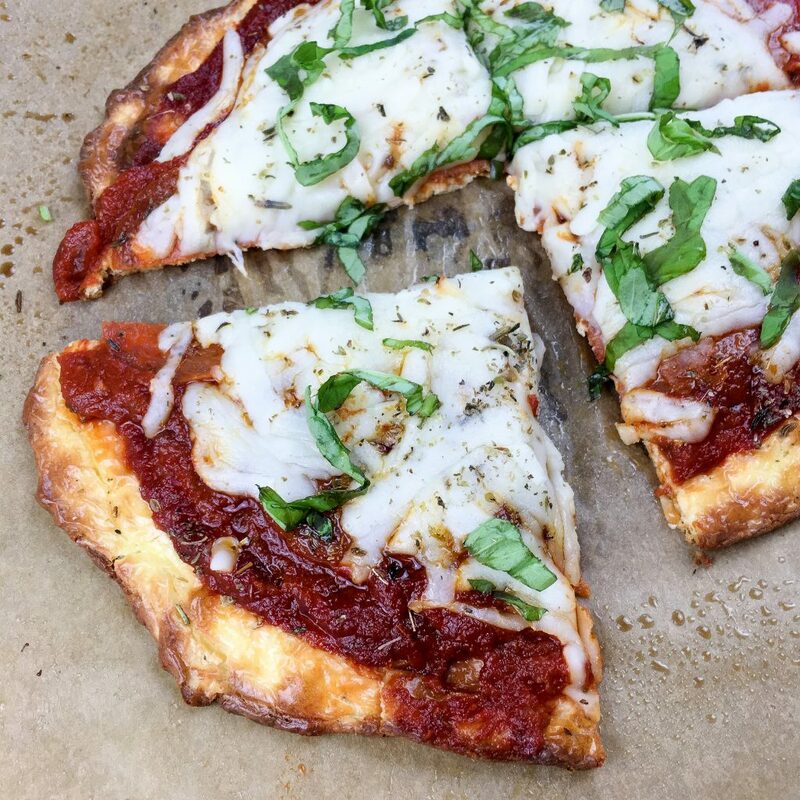 This recipe has all the incredible flavors of a normal bread dough pizza so you don’t need to miss out from your favorite treat. 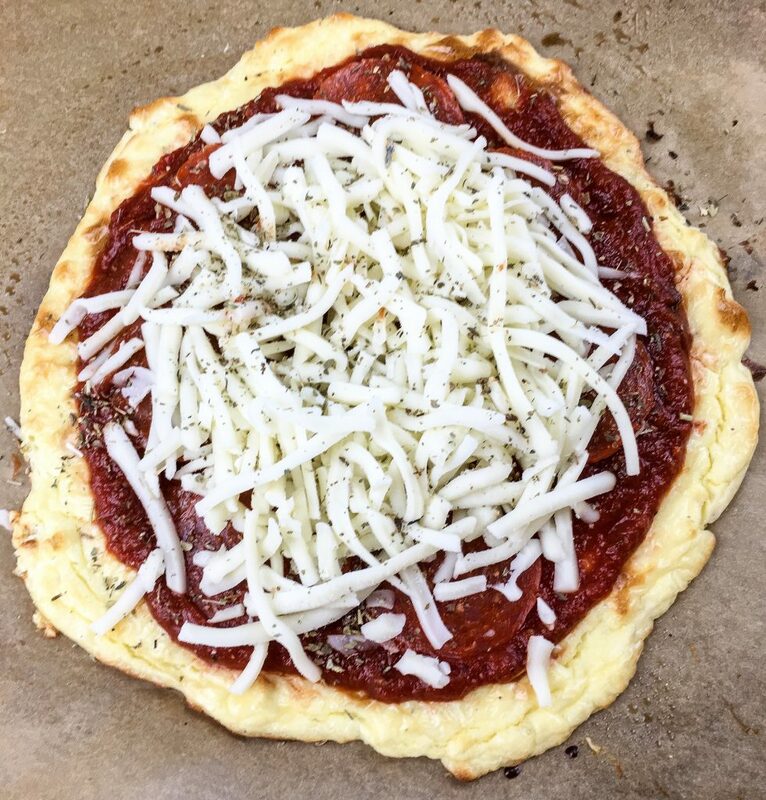 This versatile cream cheese crust recipe can be modified to include your favorite herbs and spices for a truly distinctive flavor. 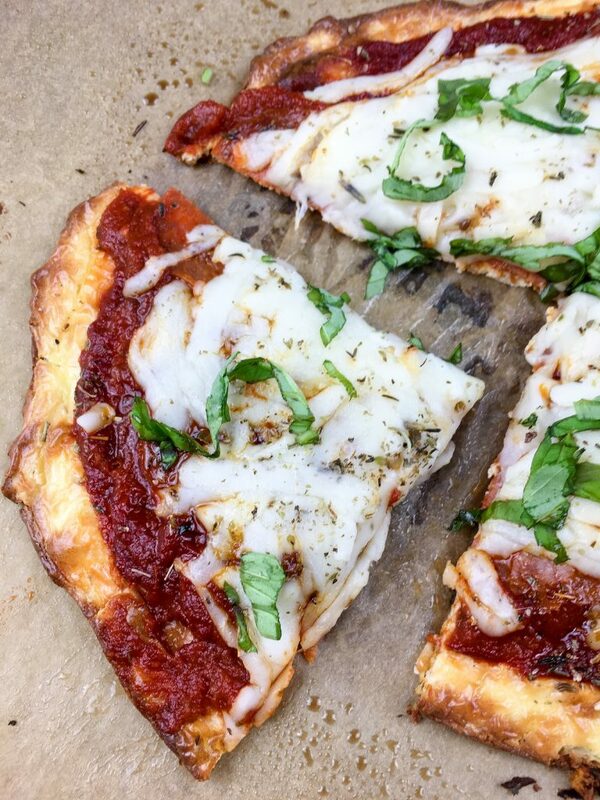 Also, don’t be afraid to experiment with your favorite low carb pizza toppings for a quick and satisfying meal you can enjoy any night of the week. Mix together cream cheese, eggs, Parmesan cheese, 1 teaspoon basil and oregano, and ½ teaspoon garlic powder in a medium-sized bowl. Season with salt and black pepper, to taste, and whisk until mixture is completely blended and smooth. Place the crust in the preheated oven for 8-10 minutes, or until slightly puffed and golden brown. Check halfway through cooking time to ensure the crust bakes evenly and does not become too brown.